Working to get the best out of you, make you as fast as possible is our GOAL! Doing some test and listen very carefull to your body and mind is the way we will reach this. Our experience with a lot of olympic gold medal winners in all kind of sports will help us to make you faster without having injuries. Train much and hard, race faster is our motto. The secret is that there is no secret. We @ Therapie&Training Vermeulen are trainers, sport scientist , physical therapists and chiropractors. 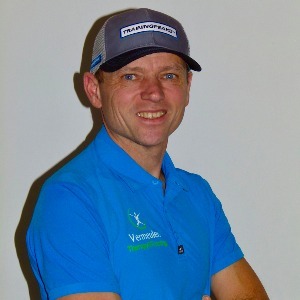 Vincent has very much experience with world class athletes in all kind of sports, from cycling to downhill skiing to tennis. Just all the kind of sports you can imagine. People who train with us need to train much and with discipline . Slow is slow and fast is real fast. We always listen to your body. The language of your body and mind is more important then the data of your power meter! So if your feel stuck in training lets work together to get you out of it! All athletes who want to work! Success. Coach Vincent Vermeulen has been notified of your message.